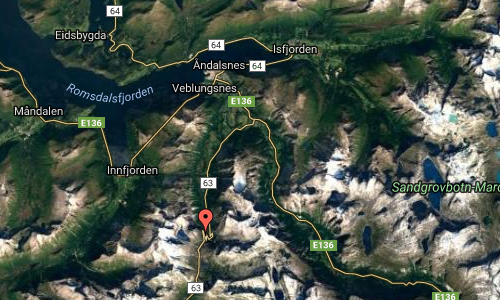 Trollstigen is a serpentine mountain road in Rauma Municipality, Møre og Romsdal county, Norway. 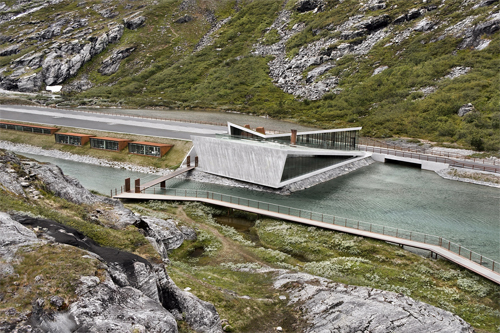 On the top of the mountain road, a new information centre, the Trollstigen Centre has been opened. 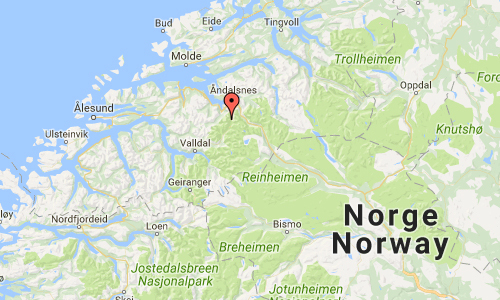 It is part of Norwegian County Road 63 that connects the town of Åndalsnes in Rauma and the village of Valldal in Norddal Municipality. 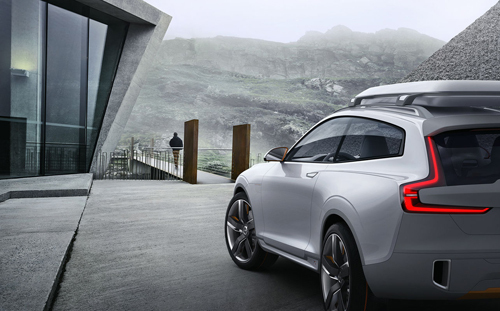 It is a popular tourist attraction due to its steep incline of 10% and eleven hairpin bends up a steep mountainside. During the top tourist season, about 2,500 vehicles pass daily. During the 2012 season, 161,421 vehicles traversed the route, compared to 155,230 vehicles during 2009. The road is narrow with many sharp bends, and although several bends were widened during 2005 to 2012, vehicles over 12.4 metres long are prohibited from driving the road. During the 2011 and 2012 seasons, buses up to 13.1 metres were temporarily allowed as a trial. 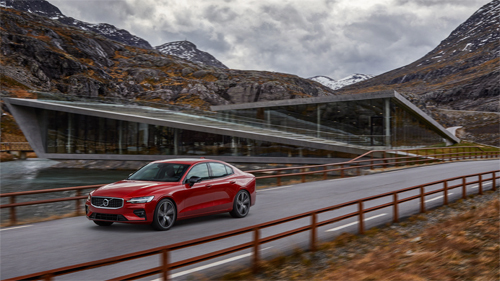 At the 700-metre plateau there is a car park and several viewing balconies overlooking the bends and the Stigfossen waterfall. Stigfossen falls 320 metres down the mountainside. The pass has an elevation of approximately 850 metres. 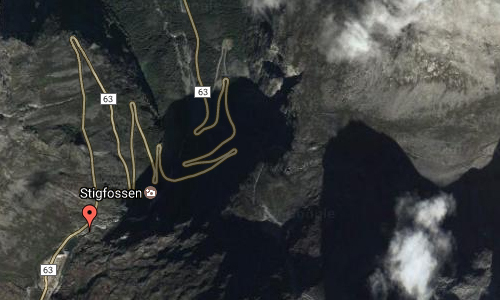 Trollstigen is closed during late autumn and winter. A normal operating season stretches from mid-May to October, but may sometimes be shorter or longer due to weather conditions. 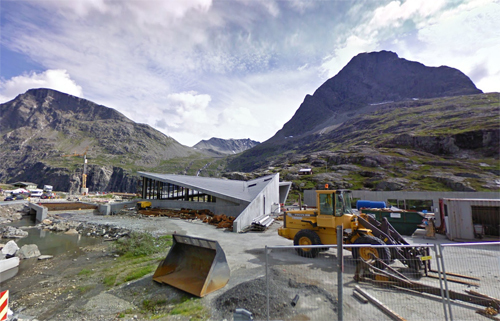 Trollstigen was opened on 31 July 1936, by King Haakon VII after eight years of construction. 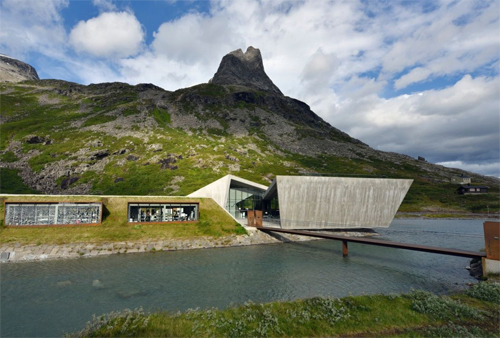 A major tourist facility including a museum was completed in 2012. Several viewing platforms have been constructed and older constructions improved upon. 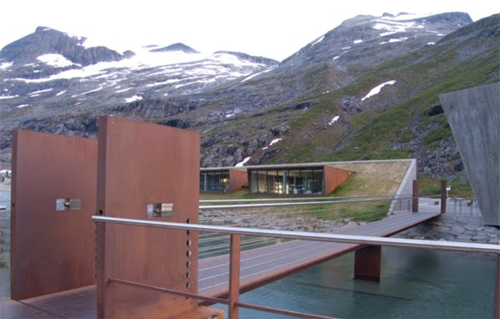 Trollstigen (along with County Road 63) was officially opened as a national tourist route by the Minister of Transport and Communications on 16 June 2012. 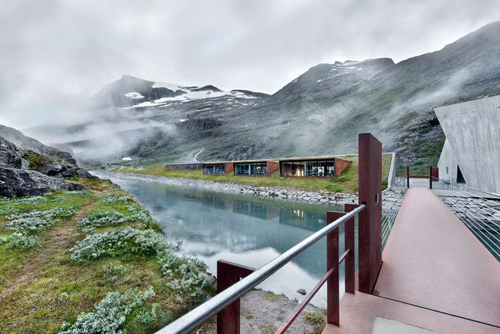 Trollstigen itself (and the alpine summits to the west) lies within the Trollstigen landscape protection area, while the alpine area east of Trollstigen, notably Trolltindene range, is part of Reinheimen National Park. In the summer of 2005, the road was repaired and about 16 million kr was spent on protection against rockfall, making the road safer to drive on. More information at en.wikipedia.org and www.visitnorway.no. Ja här har jag varit några gånger. Jag funderar på om det inte borde finnas flera bilder härifrån om de först varit och tagit foto här -det finns ju massor med “vyer” och spännande vägar här omkring mm? Dock är det inte säkert de haft någon bil med sig för denna och speciellt den från Rondane ser ut att vara inklistrad tycker jag. Tack för din kommentar Kåre! Jag har bara en bild som jag tror har tagit på ‘trollstigen’.